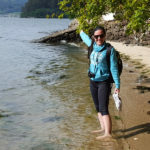 Home / Blog / Do you have a Camino love story? With Valentines day just around the corner we are in a loved up mood here at CaminoWays.com. 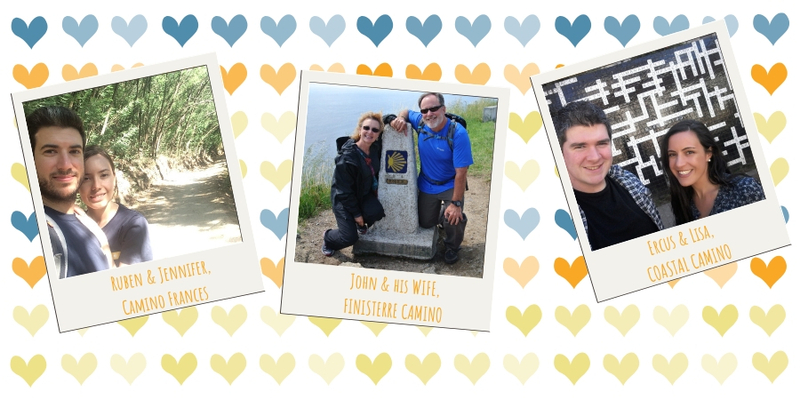 We hear from people who walked the Camino with a loved one every year and we would love to hear your Camino love story. Have you walked the trails with a loved one or met someone special out on the route? There is something heart warming when thinking of all of the strangers who make lifelong friends and find love on the Camino. With hard work and life’s many distractions it is becoming more difficult to spend time with our loved ones. Planning a getaway is a wonderful way to create some life long memories. Some decide to walk the Camino for a memorable wedding anniversary, others have found love while you were out on the trails. Love on the Camino has even inspired authors like Graeme Simsion and Anne Buist who wrote a book together after walking the Camino. We interviewed Graeme and Anne about their collaboration in Two Steps Forward. 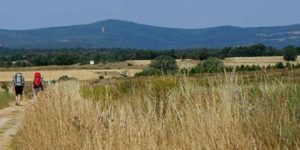 After walking their first Camino together on the Cluny Way the idea for the book was planted and by the time their second Camino, the Camino Frances, was completed the vision was cemented. They felt like writing their book was like reliving their holiday. Using their itinerary on the Camino as a map for the book we get to know the characters of Zoe and Martin who meet on the trail. These star-crossed lovers come from very different backgrounds but find their spiritual journey’s collide with a little romantic comedy along the way. 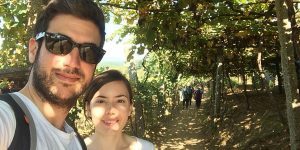 Another romantic story we read last year was when Ruben embarked on a couples camino adventure with his wife Jennifer for their wedding anniversary. They loved the friendly atmosphere and hand-made ice cream in Baiona. Opting to stay in the parador as a treatThey from our superior collection they loved looking out at the sea in the evening. They recall mixed emotions at the end of their journey, both grateful to finish the physical challenge yet wanting to continue the moments they shared along the way. It gave them time to reflect on life and find a lot of common ground. I think its safe to say we will see Ruben and Jennifer out on the trails again soon. Now for my own romantic Camino. I had a little adventure not so long ago and Santiago de Compostela will always have a special place in my heart. 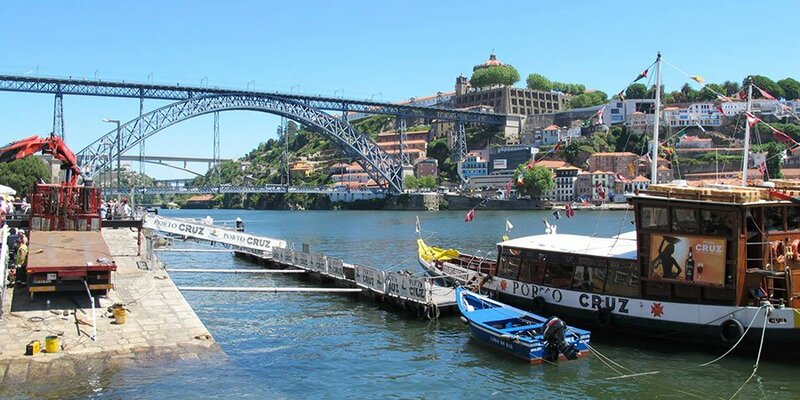 In 2016 we headed off on our very own romantic Coastal Camino trip. Although travel is part of my professional life my partner is not a very keen walker but he loved it as much as me and little did I know he had a special proposal planned for the end of our journey. I said yes of course. Let’s take some time out to celebrate being together or maybe meeting someone from the other side of the world in 2019. Celebrate a special occasion walking the trails, watching the sun go down, sipping Albarino and tasting tapas. 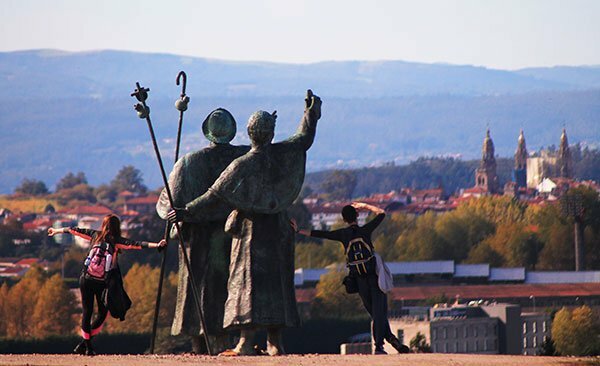 We know that each Camino love story is unique. If you and your loved one met on the Camino, celebrated an anniversary on the Camino or spent time out on the Camino we would love to hear your stories. You can send them to us at marketing@caminoways.com and we will share them with the Camino community. For more information about any of the Camino de Santiago routes please contact one of our Travel Specialists.